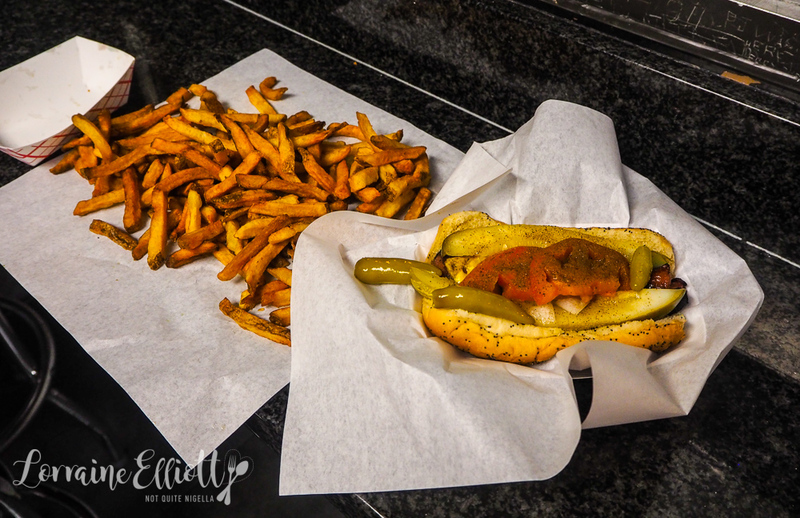 12 Fun & Delicious Reasons To Visit Chicago! Planning a visit to Chicago, aka the "Windy City"? There are so many things to eat and have fun! 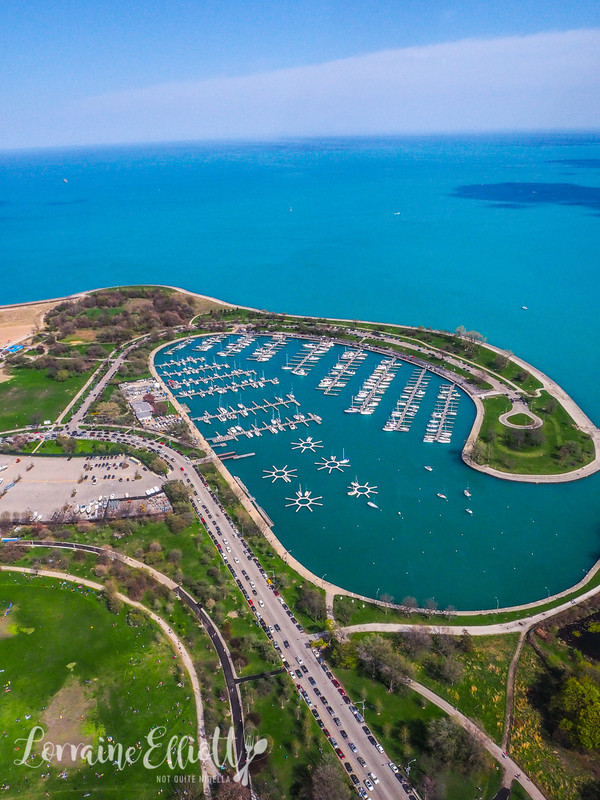 Here are just 12 amazing things to make your time in Chicago a uniquely Chicagoan experience! Get ready to drool and be surprised! The food most associated with Chicago is the deep dish pizza. 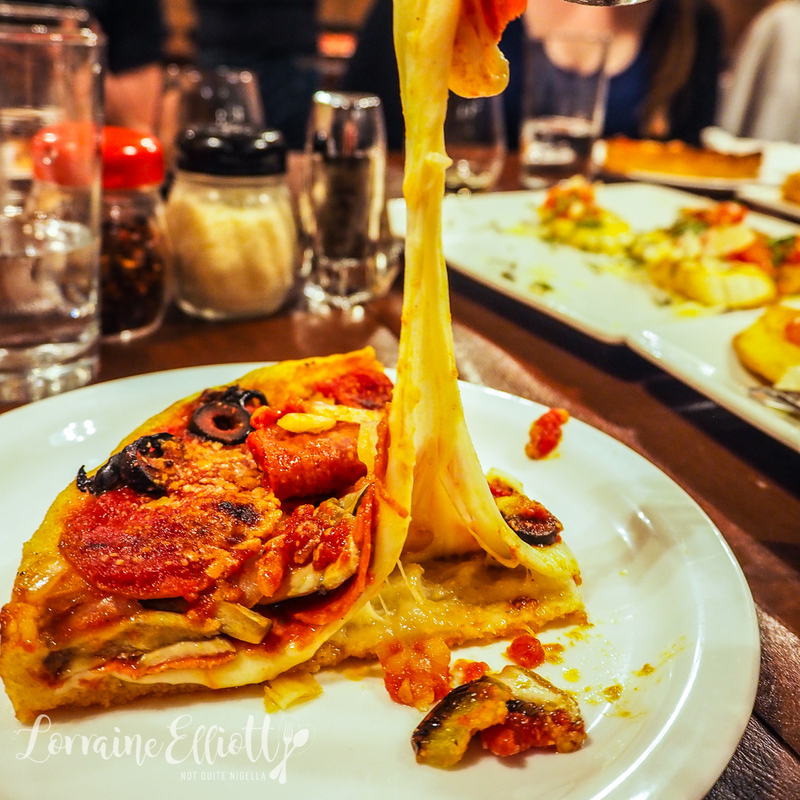 It's unlike any other pizza and is more like an open pie than a pizza that you may be familiar with. And even within Chicago there's a difference (Chicago's South side pizza is thinner, North side is most commonly associated with the deep dish pizza). And within the North Side there are differences. Chains like Giordano have thicker, doughier bases while Lou Malnati's base is thinner (although not thin) and crispier. 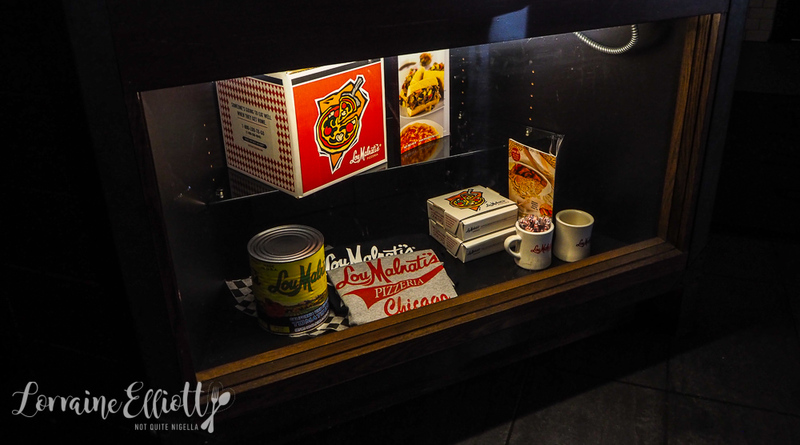 If you want to try your hand at making one, get a group together and Lou Malnati's will show you how to make a Chicago deep dish pizza with their "Pizza by me" class. Dough is provided and you don an apron and gloves and press out your dough. The crucial part of the pizza making process is the temperature of the dough when it is pressed - it needs to be between 68-70°F/20-21°C. Each pizza pie takes around 30 minutes in the oven to bake and here they use either Italian sausage or pepperoni with slices of mozzarella, mushrooms, green capsicum and onion and you can add or subtract what you like. The class includes beer, wine and soft drinks as well as a range of appetisers from bruschetta, fried calamari and pizza squares. "Your job isn't so much to fool people but it is to spark their imagination and to help people remember what it feels like to be a kid," says Dennis Watkins, third generation magician and illusionist. 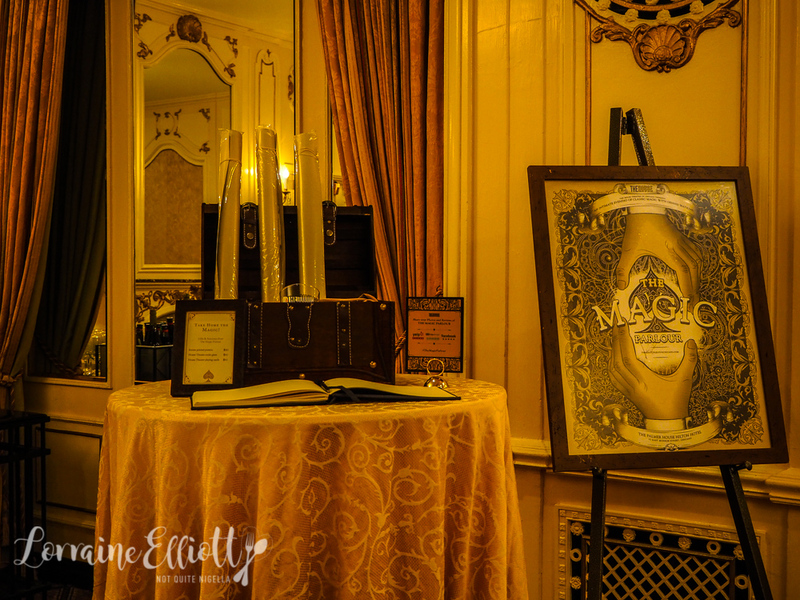 Chicago magic is its own special thing and at the Palmer House Hilton's The Magic Parlour he weaves his own brand of magic and illusion. 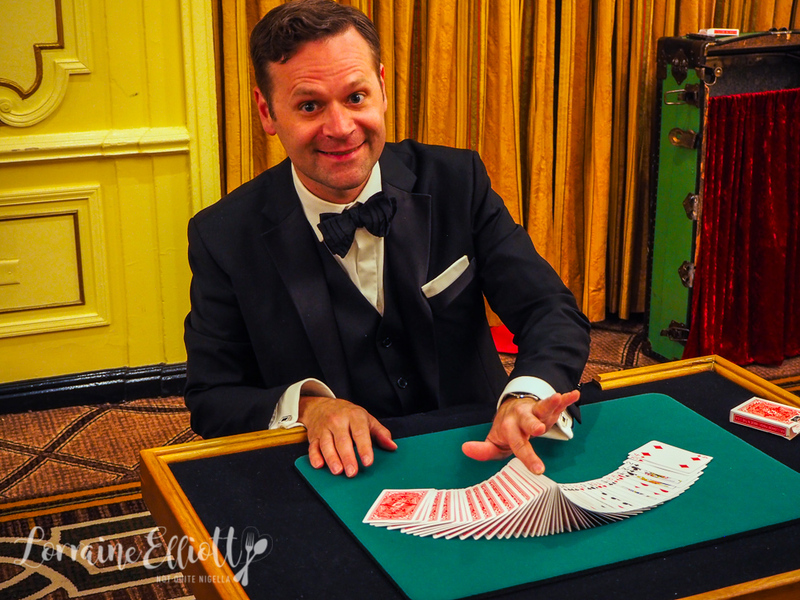 Chicago magic is different from other magic-it's magic close-up and Chicago is the birthplace of this close-up magic. It's performed in front of small groups and here at The Magic Parlour there are only two rows of people totalling 40 guests. 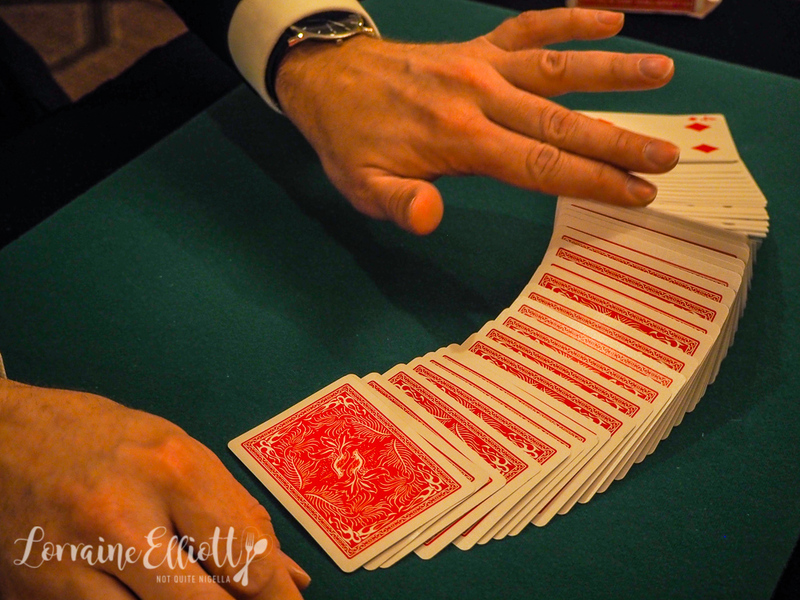 Dennis performs sleight of hands tricks and some mind boggling ESP that even skeptics must find hard to argue with (unless you'd believe that half the audience are in on it). The show goes for 1.5 hours but feels like its much shorter because it is so entertaining. Ticket prices also include a beer, wine or soft drink. Dennis asks for everyone's help in the audience (and don't worry there's no sawing in half but I was willing to volunteer for that!). A young 12 year old boy who we learn is a budding magician gets called up to help for the stunning finale which I won't ruin because it is so surprisingly quirky and good. And you can tell that he has been converted to Chicago style magic. 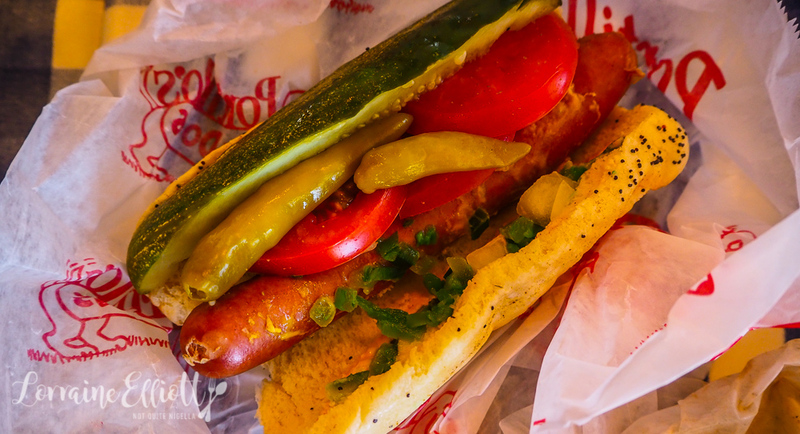 Chicago Hot dogs are different from other hot dogs. And they're proud of it. For starters there's no ketchup, absolutely none. They usually start with a beef sausage in a soft bun but they are topped with mustard, pickled sport peppers, relish, quartered pickles, tomato, white onion and celery salt. 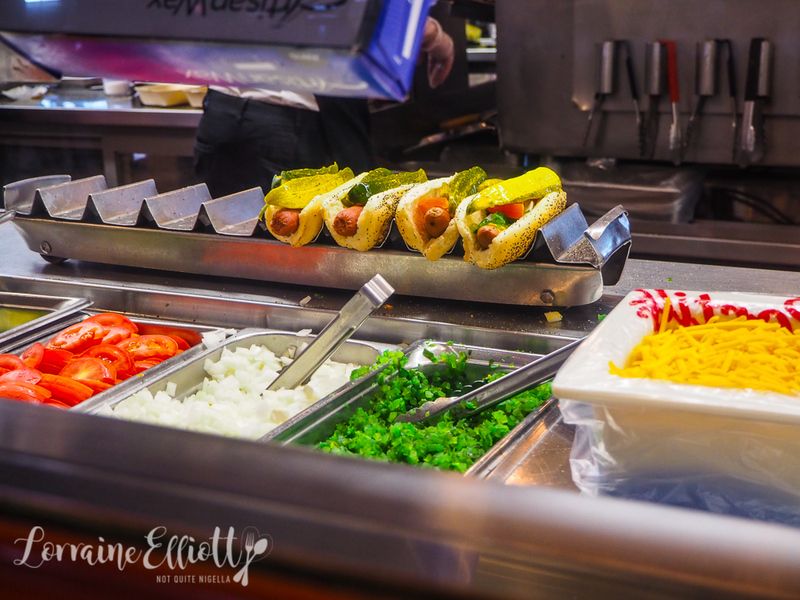 You can find them at Shake Shack (where they are called Shake-cago dogs) or at Portillo's where they are small but tasty and a steal at $3USD. So lots of cities have observation decks from high buildings but Chicago's John Hancock building has a 2 minute feature called Tilt on the 94th floor. Here you line up in a row, grab the steel bars and the glass wall tilts slowly to around 45 degrees to give you a view of the Magnificent Mile below. Your reaction depends entirely on you. I didn't find it frightening at all and it's over rather quickly while a group before us squealed and screamed! And just in case you need it, there's a bar with great views right next to it. 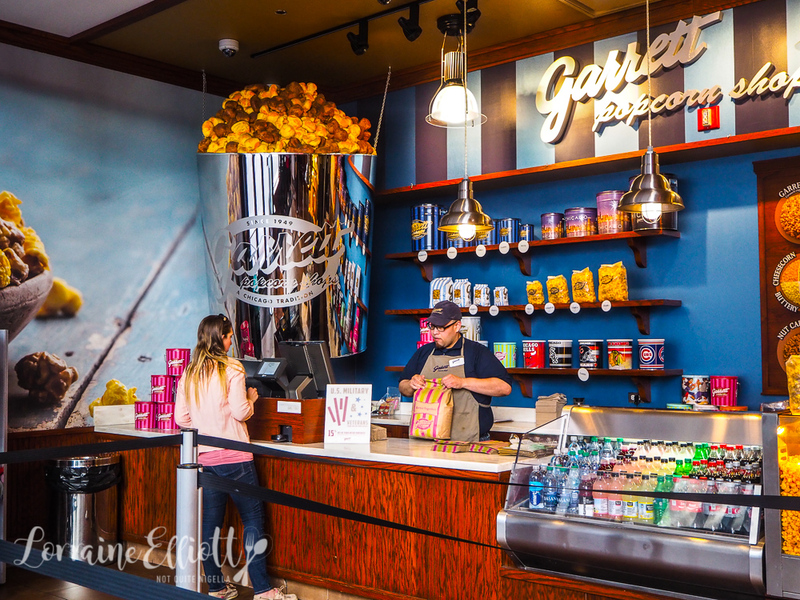 Garrett Popcorn is a Chicago success story. They've managed to grow a business based on one product since 1949 thanks to some famous friends. 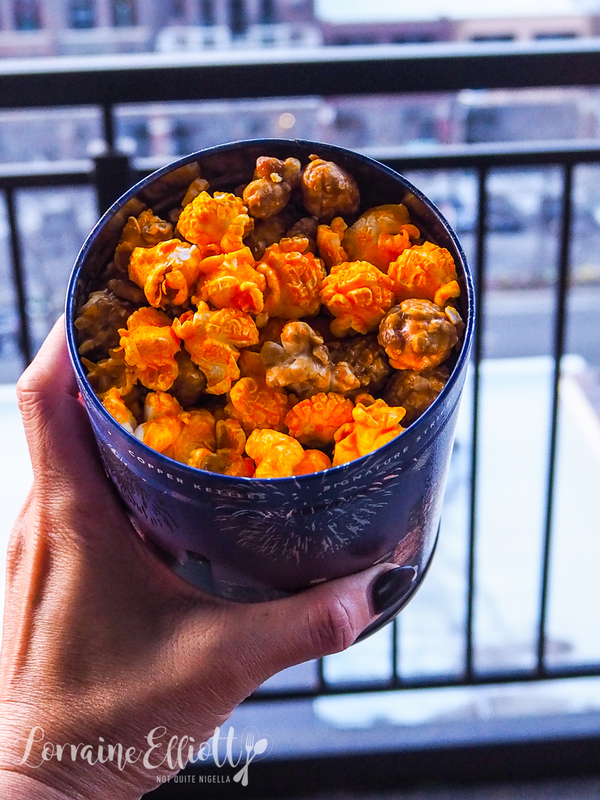 When Oprah Winfrey declared their Chicago mix one of her "Favorite Things" Harpo staffers contacted Garrett Popcorn (not Garrett's btw) to warn them to be prepared for the response and they had people making popcorn 24 hours a day. Since then Halle Berry has claimed the only thing she needed post-divorce is Garrett popcorn and labelled it "orgasmic" and it's true, it's some of the most addictive stuff I've ever come across. They start off with hot air popped non GMO kernels grown specially for them in the Mid West. 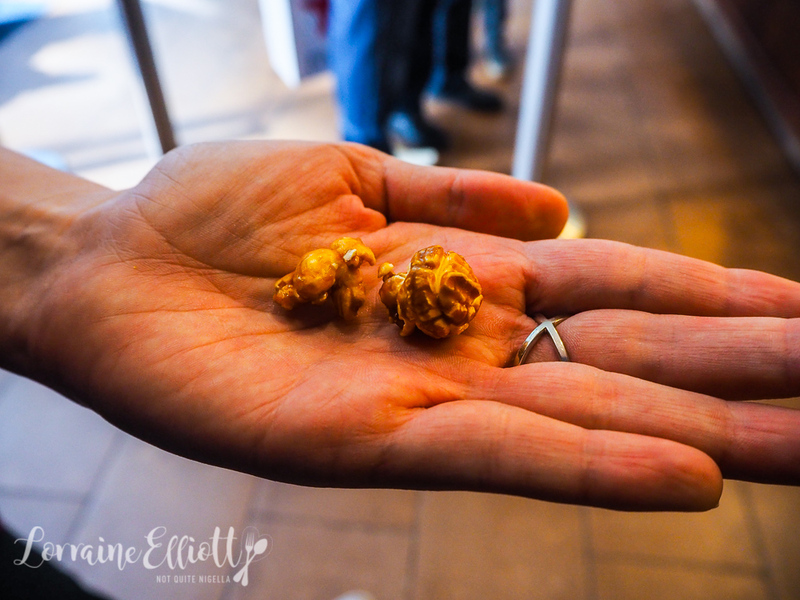 And did you know that they use two types of popcorn kernels-the mushroom and the butterfly in equal ratios? The butterfly is to help the keep the popcorn mix in shape and not crushed. There are several flavours from plain unsalted, buttery (which is vegan and as the name suggests, buttery in flavour), caramel crisp, cheese, pecan caramel crisp and cashew caramel crisp. But who invented the most famous mix, aka the Garret mix or Chicago mix which is equal ratios of caramel crisp and cheese popcorn? It was the public that invented this. Store employees started to notice people buying one bag of each and then asking for an extra bag. They asked them what they were doing and the Chicago mix was born. And if you like things a bit more salty or sweet they can tailor the mix to your own preferences. 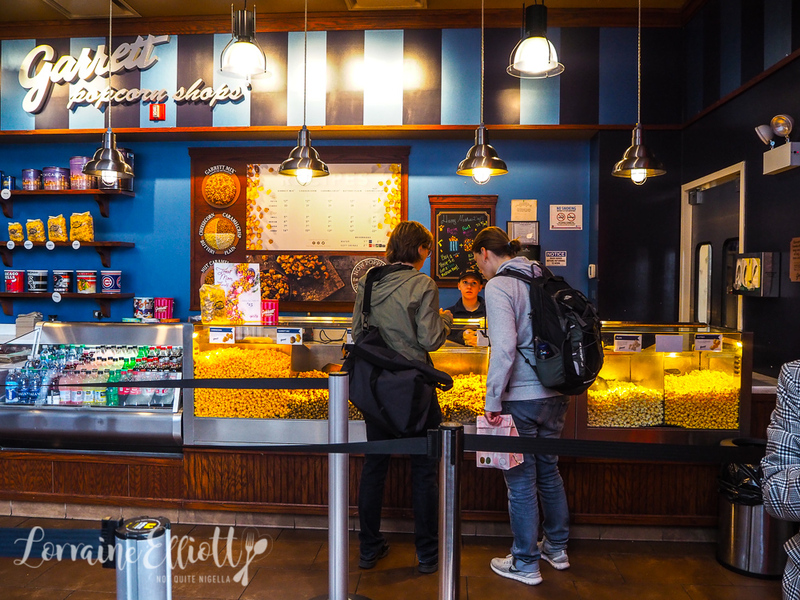 Learn the secrets of Garrett Popcorn! 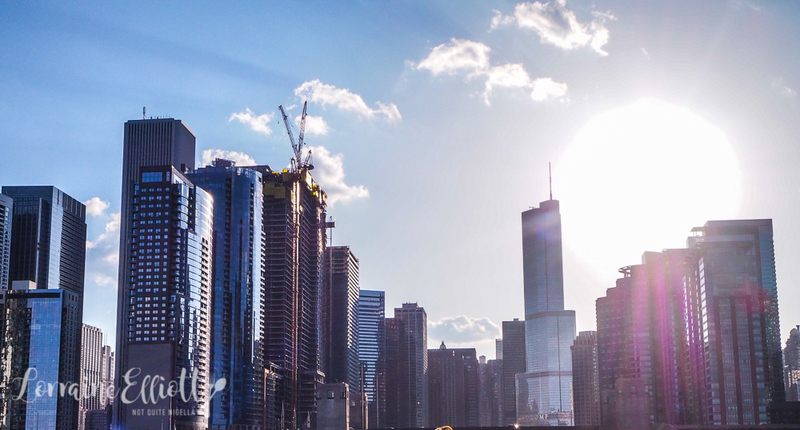 Chicago's architecture is a quintessential part of its identity with many famous architects studying in Chicago or leaving their mark on the famous skyline. The best way to see the architecture of Chicago is actually via boat. Chicago's First Lady Cruises holds regular tours that meander slowly down Chicago's river walk. 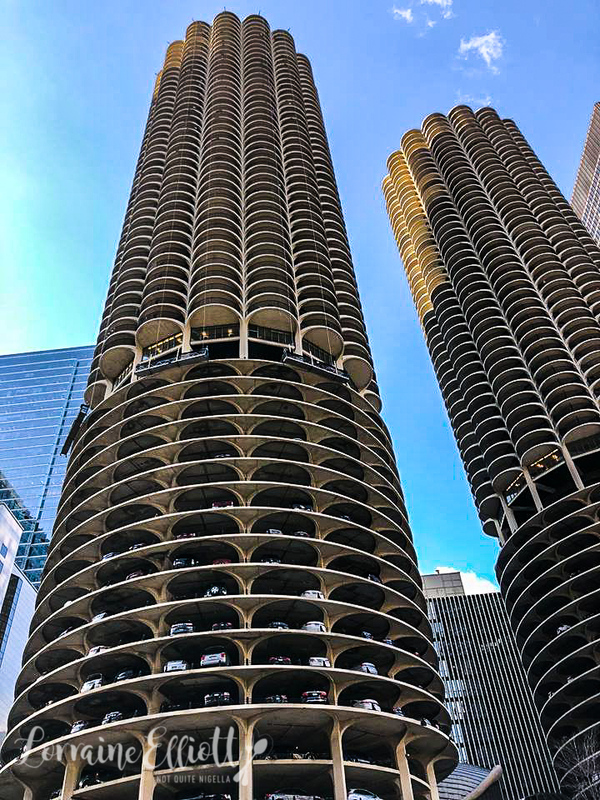 While I remain mostly clueless about architecture and just know what I like, this was a very entertaining tour with some truly incredibly designed buildings like Bertrand Goldberg's Marina City "corn cob" building to Jeanne Gang's Aqua building to the curved high rise city-within-a-city River City apartment blocks. The 90 minute tour is guided by passionate volunteers who clearly adore their city and its unique architecture. 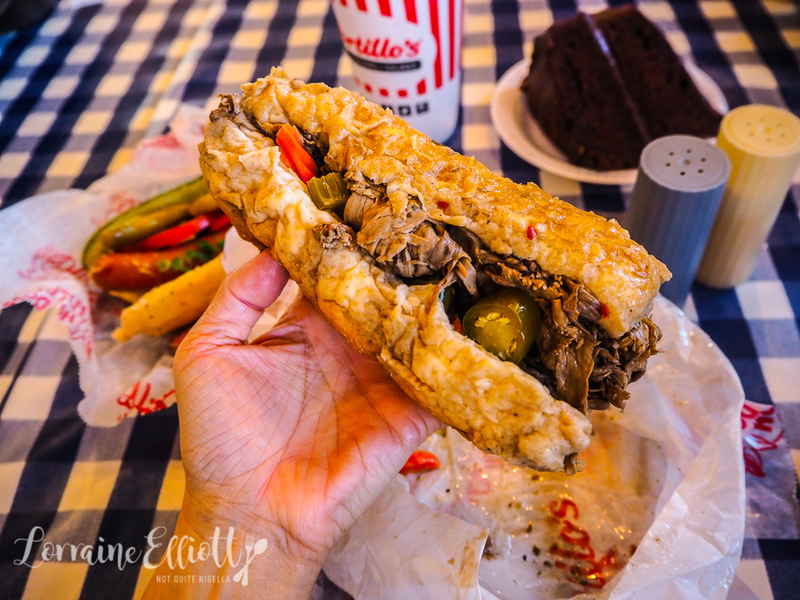 Ok so by now you know that Chicago has their own type of pizza and hot dog but did you know that they are also known for their hot beef sandwiches? There are countless places serving this inexpensive but filling treat. 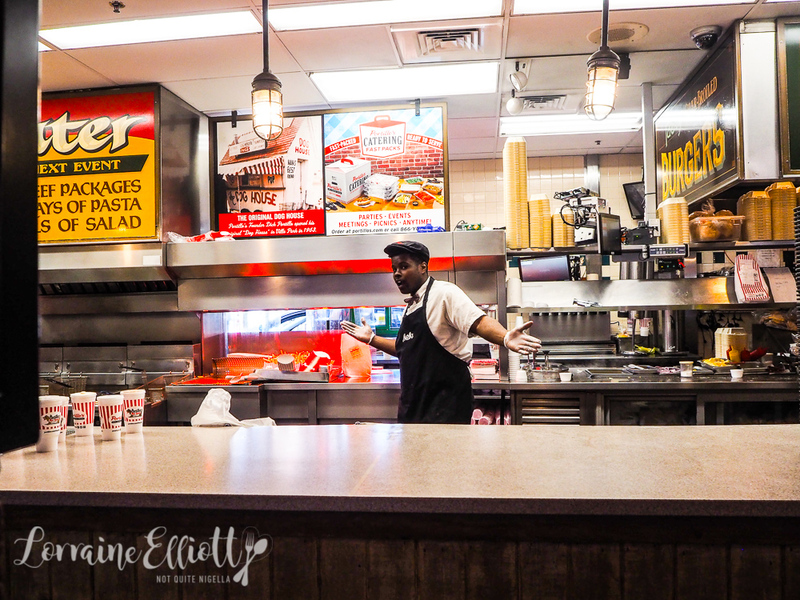 While family run Portillo's on W Onatario may look like a food court, it's actually one business where you order your food separately from different counters. The most popular item is the hot dog or the hot beef sandwich (although you can also get it with beef and sausage or beef on a croissant). And when your order is ready they may shout out your number with a little flair, "Number 13, I need you be to seen!". It's thinly sliced seasoned roast beef, Chicago-style giardiniera pickles with your choice of sweet or hot pickles on an Italian style long roll. And here's a proposition for you: you can order it dry (a little gravy), extra gravy (a splash of gravy) or dipped ("au jus"). 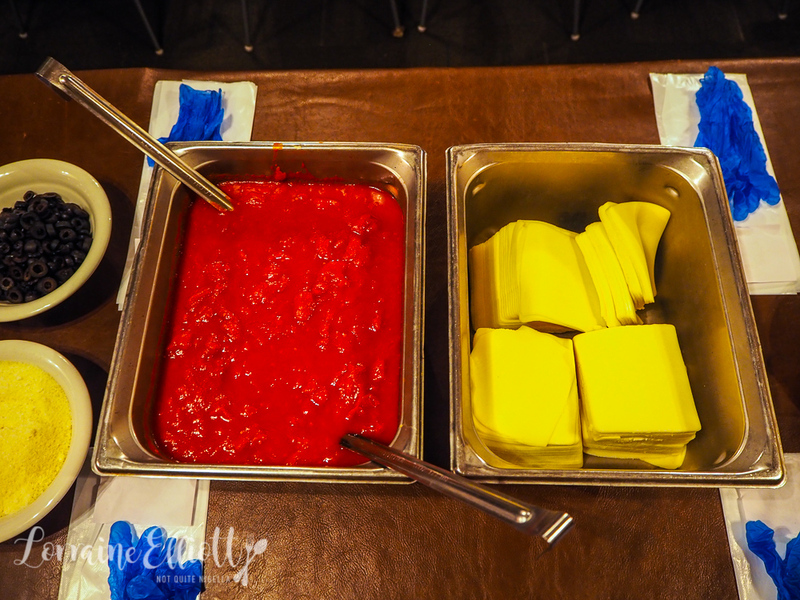 Dipped means that they dip the entire sub in beef gravy making it soft and wet. While it's fun I think extra gravy on the side is a bit easier to eat. Oh and pair it with the chocolate cake shake which is as the name suggests, a chocolate shake blended with chocolate cake. One thing that surprised me about Chicago was how pretty Lake Michigan was. The blue green colours we saw are usually associated with islands, rather than cities. 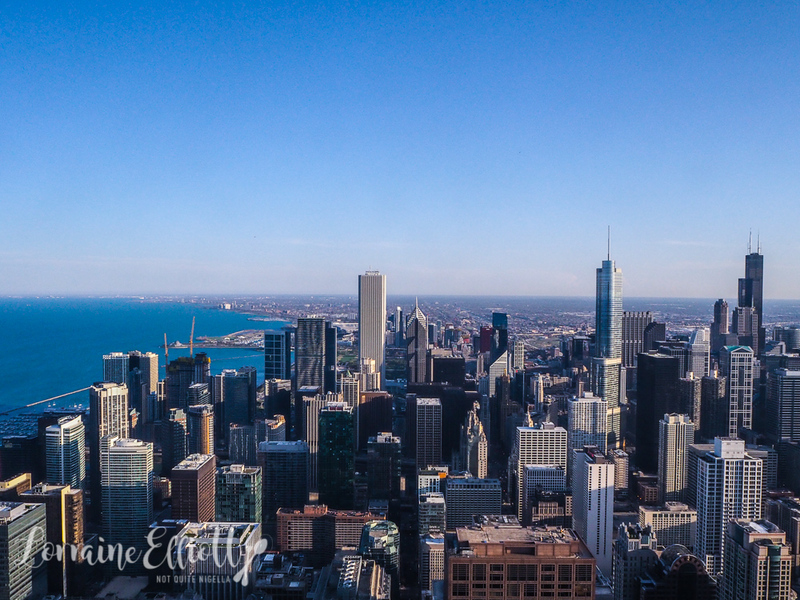 And during our 20 minute helicopter ride above the city with Chicago Helicopter Experience they'll make sure to point out all the landmarks and before you know it, you're back on land. One of my favourite areas of Chicago is the West Loop. 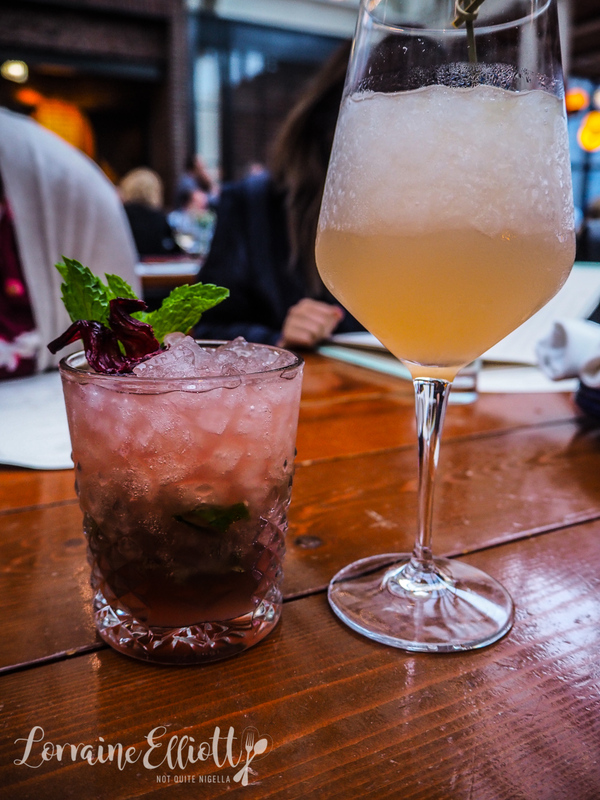 Many of Chicago's most famous restaurants have taken up residence in the West Loop which is about a 25 minute walk from downtown or 10 minute uber ride. 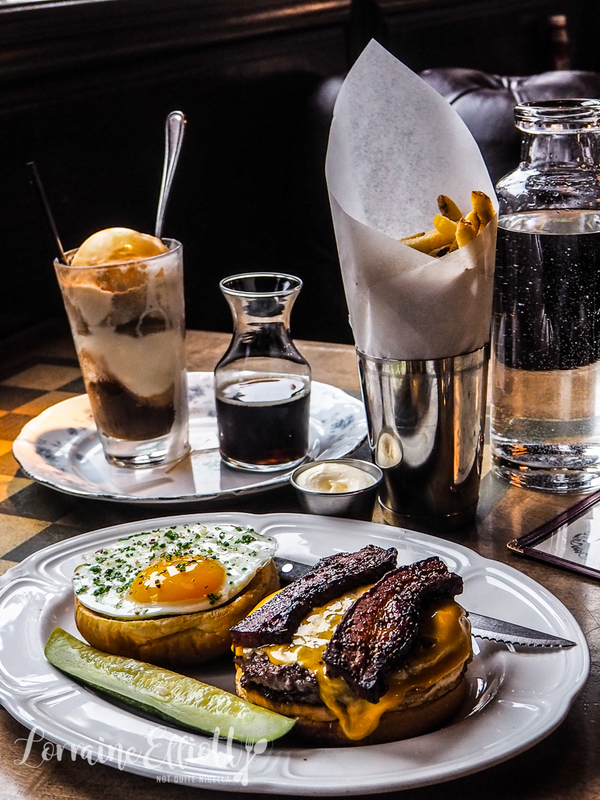 Here you'll find places like Girl & The Goat by Stephanie Izard (plus two other of her restaurants), Grant Achatz's Roister, Au Cheval which is said to have Chicago's best burger and Warm Belly cookies where Joe Dela Pena bakes up to 70 types of cookies. There's also a heavy metal bar, a health focused saladerie and juice restaurant, fried chicken, Italian, donuts, subs and the list goes on. Whatever you want to eat is probably in the West Loop. I recommend even staying a couple of nights here to eat to your heart's content. 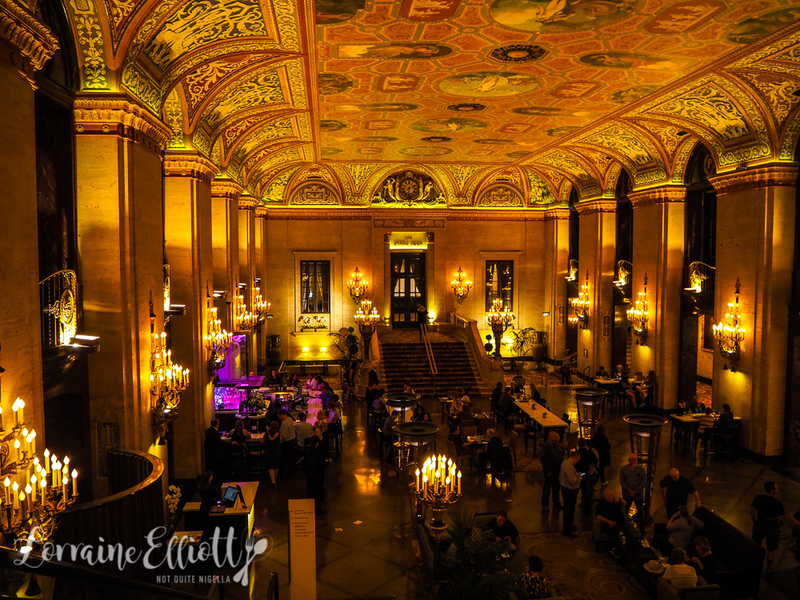 Come summer (or even winter) the place that many Chicagoans or visitors adore is Cindy's bar on the rooftop of the Chicago Athletic Association Hotel. The lines are very long especially on warm days starting all the way down in the lobby however and you need to be prepared to wait although hotel guests can easily access Cindy's Bar with their room key. 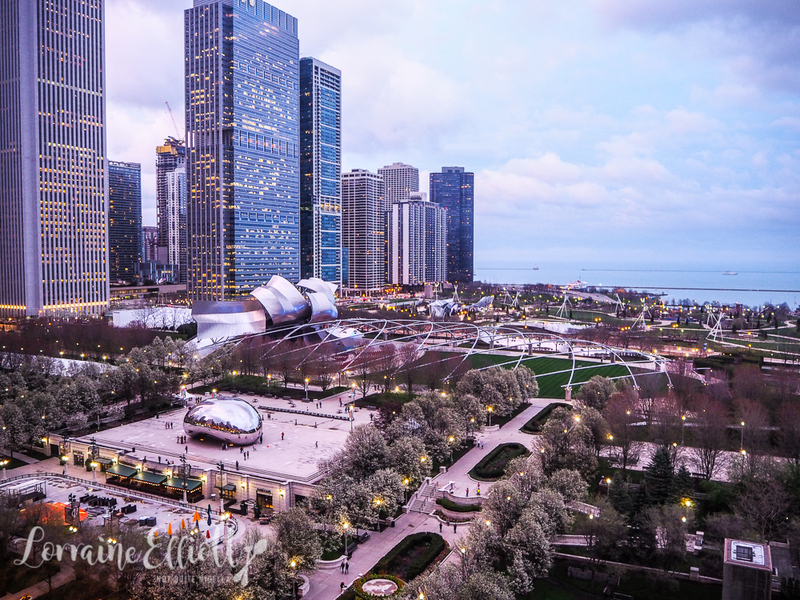 You can book there if you are eating and no matter what the weather is, you need to step out on the balcony for a killer view of the city below from the famous Bean sculpture and Millenium Park below. Ever wondered who invented the brownie? 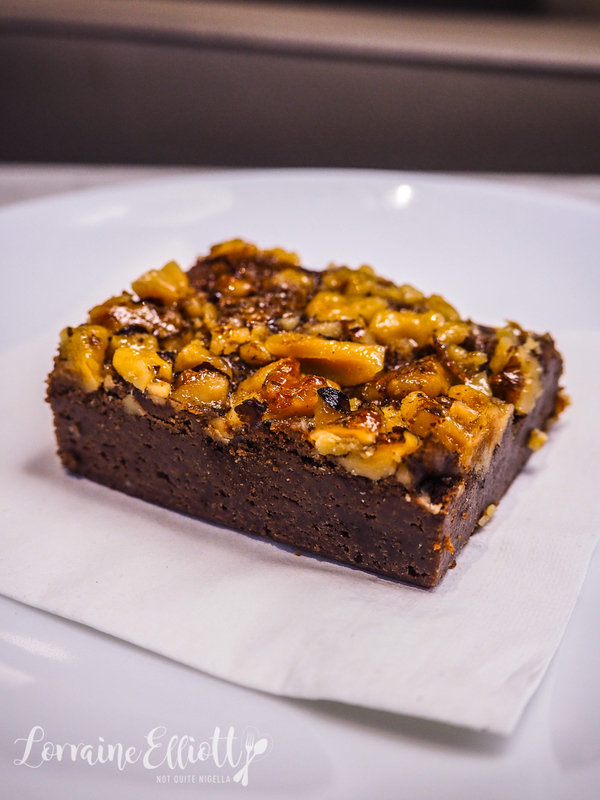 The brownie has a fascinating history intertwined with that of a woman who was ahead of her time. It was during the late 19th century that Bertha Palmer married a man 29 years her senior. His name was Potter Palmer and he first laid eyes on her when she was age 12 and declared that when she was of age, he would marry her. She was college educated which was rare at that time and she used her position to help migrant women gain better pay and help and also supported impoverished women through the Chicago Woman's Club. She was known for spending big, for parties and for an impressive art collection being one of the first to collect Monet and Renoirs. She was also a shrewd businesswoman and upon Potter Palmer's death she doubled the value of his estate. 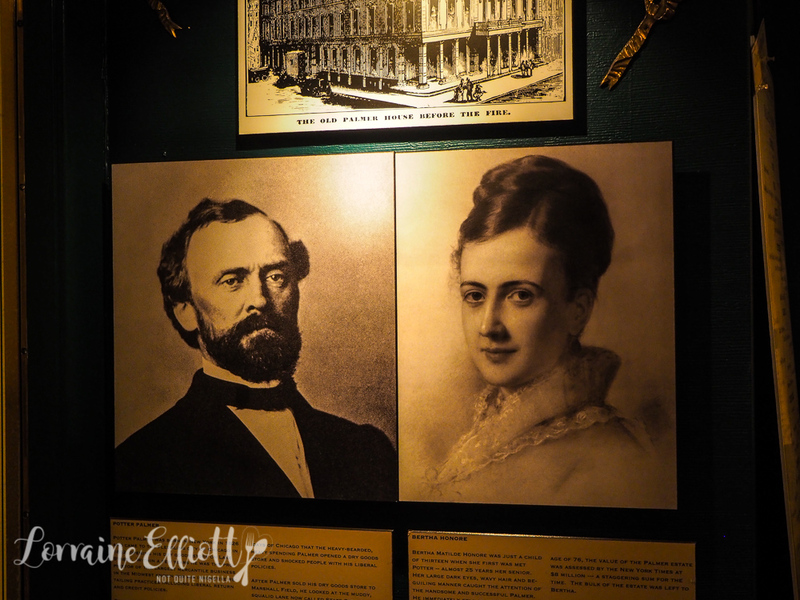 One day in 1893, Bertha instructed her chef to create a sweet for the World's Columbian Exposition that wasn't quite a cookie or a cake but small in size and the brownie was invented in the Palmer House Kitchen. 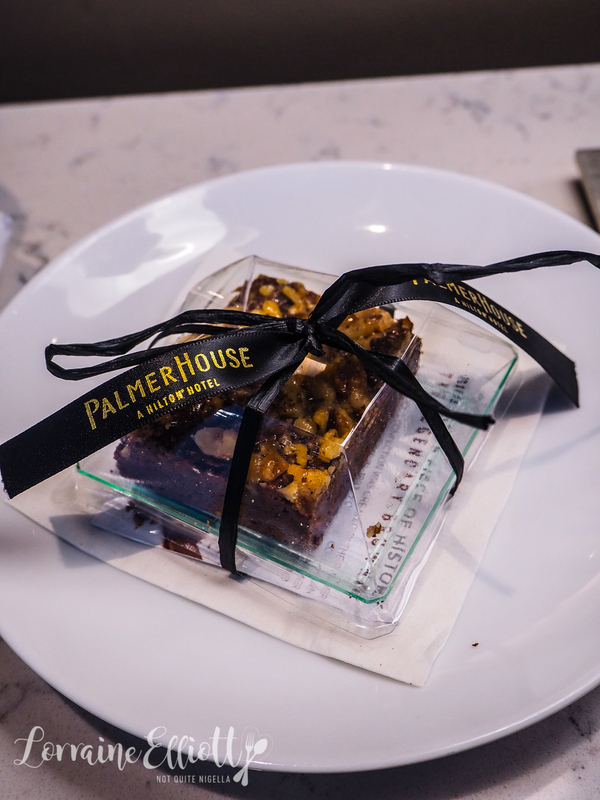 While the recipe is over a century old, it is the same one used today at the Palmer House Hilton's pastry kitchen. People can buy it to take away, eat in or they also ship it all over the United States. Executive pastry chef Fabrice Bouet uses Callebaut chocolate between 58-71% to achieve that lovely fudgey texture. It is available topped with the original walnuts and apricot glaze or plain. Learn the history of how the brownie came about and the remarkable woman behind it! It's late at night, you've been drinking and you need something to sober you up. 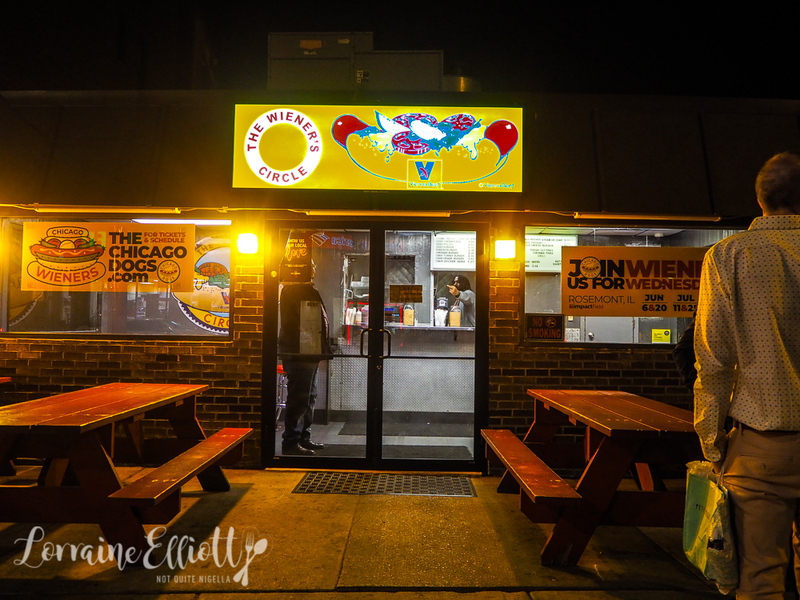 There's nothing more sobering than grabbing a hot dog at The Weiner's Circle in Lincoln Square. Here your greeting might be "What do you dickheads want?" and a response to "thank you" might be "F%^& you". 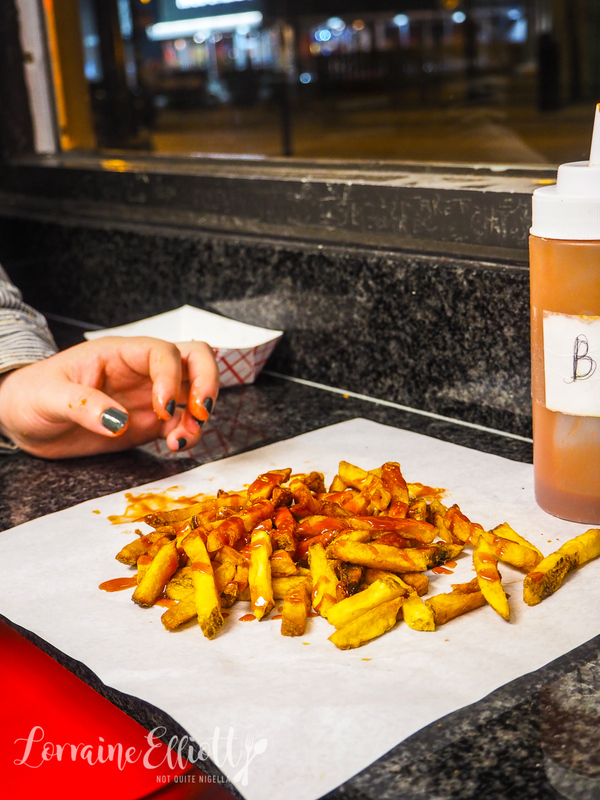 The salty service only really happens late at night on Friday nights and weekends (they're open until 5am) and staff are well versed in reading people to see who can take it or who can't. Kids are off limits unless the parent indicates that they can take it. If you look like you're enjoying it they'll take it further and further but it's always delivered with a smirk or a smile. The Weiner's Circle at one time also served Trump style dogs-sadly the half size sausage is no longer on the menu. My video visit to The Weiner's Circle! Chicago is a big city but people are very friendly and it's a lovely mix of a big city with plenty to do but also mid-Western friendliness. When I couldn't find a place a man walked me there in a friendly, non creepy way. 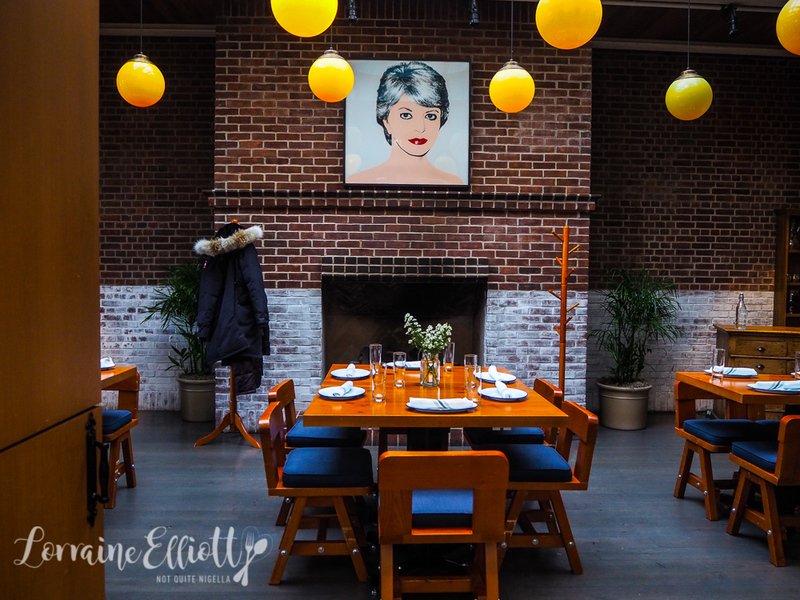 For foodies that really want to sample the restaurant scene I'd suggest maybe staying a couple of nights in the West Loop and then the rest of the time in a hotel downtown. The West Loop has some of the best restaurants in the city and I found an Airbnb that was 5 minutes' walk away and looked down on restaurant row. This is the place I stayed at and if you use this link you'll get $50 credit if you're new to Air BNB. Ubers are easy to use as is Uber Pool. You can also catch cabs or take the train. Go during their summer especially if you don't like the freezing cold (I last visited during Chicago's winter and was so traumatised by the -19C winds that it took me over a decade to come back). Chicagoans tend to stay in the city during summer rather than vacationing at that time because the city is beautiful then (and people are really in a better mood!). A note: Illinois sales tax is 8.7% which is one of the higher ones. So tell me Dear Reader, have you tried any of these uniquely Chicago based things? What thing piqued your interest? Do you think you would be scared or not at the Tilt experience? NQN visited Chicago as a guest of Choose Chicago but all opinions remain her own.